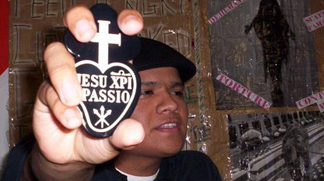 Passionists (C.P.) Passionist priests and brothers take a unique vow to promote the memory of Christ’s Passion and God’s redeeming love for us through their life of contemplation, community and ministry to the crucified of today. Founded by St. Paul of the Cross, Passionists reach out with compassion to those who suffer or are marginalized-the disabled, the sick, the dying, the impoverished, those who grieve or are alone-and offer opportunities for all to experience spiritual growth and healing. Prayer and a rich community life support the special Passionist charism. Ministries include preaching, retreat center programs, parish, radio and TV ministry, and chaplaincies. There are two Passionist Provinces in the United States that include members serving in other countries. If you live outside of the United States, please visit our Passionist Congregation website where you can find Passionist Communities in your country or in countries near you. It is better to find a community with a similar lifestyle. Error: Error validating access token: Session has expired on Monday, 18-Mar-19 14:16:37 PDT. The current time is Thursday, 18-Apr-19 20:13:37 PDT.